Click the question to see the answer to our most common inquiries. Why do I need a system like ARCport? Transcription is expensive and slow. Managing several software programs is cumbersome. Voice recognition software lacks accuracy. Leveraging the power of your current software systems and diagnostic equipment, ARCport consistently saves time and money. After implementation of EMR, physicians often complain that their productivity has actually decreased. Yet, one of our clients stated “ARCport is the next logical step after an EMR" and “it’s one of the best things we’ve ever done”. Shouldn’t my EMR and PM already do everything that I need? Even though each resource has its own value and is necessary. ARCport creates practice wide communication between PM, EMR, workstations, modalities, reporting, imaging, billing and research. The time and cost savings of all these areas finally linked to each other is how ARCport streamlined workflow and produces results. Why would I want a separate system to handle Dx reporting when I already have templates in my EMR? 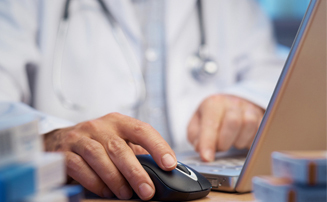 The EMR was designed to replace paper by keeping an electronic patient record. Templates were improvised as an afterthought in an attempt to generate an electronic record of diagnostic tests without scanning a paper report. Avoiding scanning is good but it does little to effectively manage the daily diagnostic workflow. ARCport actually governs workflow, following the patient and test results through every step from scheduling, testing, reading, signing, reporting, billing, medical records, research and finally faxing the signed report to the referring physician. 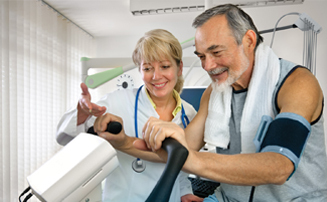 Every department in a cardiology diagnostic clinic will improve efficiency saving the entire practice time and money. What does ARCport offer that my EMR templates don’t have? Generic templates may work to standardize some simple reports. But most modalities require lists of specific measurements, procedural descriptions, comment requirements from multiple staff members and most importantly final impressions. Physicians want to create reports with specific phrasing to highlight pertinent areas of each study which is a flexibility that templates will not have. Templates lack code based findings that could be captured based on what is commented on during the procedure. Mid-study changes, such as change in protocol, laterality, and pharmacologic dosage will not automatically adjust billing codes to gaurantee proper reimbursement. EMR templates can't handle these instances without human intervention. These gaps in documentation and workflow is what loses money everyday. Is it cost effective to use the EMR templates? No. Generic templates require extensive customization. This adds hidden costs by requiring lab and/or IT staff and addtional support costs to customize and maintain the templates. Static templates cannot capture charges, track turn-around times, help manage workflow, or ensure proper billing. ARCport Dx captures cardiology charges, provides excellent accreditation and HIPAA requirement tracking, and creates an expeditious and productive workflow. How does ARCport help us with getting our accreditation? One of the primary goals of modern Dx testing is to standardize reporting and ensure that physicians provide their assessments in a timely manner. ARCport Dx assists in both of these endeavors by tracking turn around times and providing the final report in a straightforward standardized layout easily discernable by referring physicians. Monthly totals can be set up to publish results to a subscription list automatically. Reports generated by CardioDx have already been reviewed and approved in existing practices by the ICAEL, ICANL and ICAVL accrediting agencies. Please click here for our detailed list of accreditation oriented features. Will ARCport reduce our diagnostic report turn around time? Yes. The instant a technologist completes a study, it becomes available the physician. The report is delivered to your EMR immediately and automatically sent by fax as soon as the physician signs it. In hospital settings reports will immediately print to the patient’s floor based upon room number. How does ARCport improve the turn time? It eliminates duplicate entry, the need for transcription and puts the list of studies awaiting interpretation right in front of the physicians. Physicians have immediate access to all of their outstanding studies highlighting any reports that are aged beyond predetermined time limits. How will improved turn around times benefit our practice? By eliminating transcription both time and money are saved immediately. Relationships with primary care physicians and patients are improved by delivering uniform reports within hours of the tests being completed instead of days or weeks. What sets this reporting system apart? Reporting is quicker and easier through our efficient use of single interface worksheets and dropdown lists. Extensive selections are included in dropdowns for diagnostic conclusions, observations and interpretations. Dropdown entries can be added, edited, deleted, and personalized by individual physicians using the program. What diagnostic tests does ARCport currently manage? ARCport currently manages over 25 modalities. A complete list of those can be reviewed here. We are continually enhancing the product and the number of modalities we support grows with our clients needs. Is ARCport a PACS system? ARCport PX is a full featured DICOM image viewer. The ARCport PX server manages DICOM images with indefinite storage capacity across multiple sites, with failover and automatic recovery. This, combined with workflow management, make it an ideal PACS system for most groups. A key advantage is that ARCport fully integrates with DICOM imaging modalities regardless of brand. Will ARCport replace my existing PM and/or EMR? While ARCport can stand alone, it works best relying on the scheduling functionality of your existing practice management without costly double entry. The list of supported systems is always growing. ARCport keeps patient history indefinitely, but ideally it posts the final reports to your existing EMR enhancing the value of both investments. What support is provided for ARCport once installed? We offer excellent support with a highly trained, certified and experienced staff. Happy, satisfied clients are the best advertising and we are glad to refer you to any of our clients for their opinion. Doesn't voice recognition software produce the same results? No. Voice recognition is attempting to replace dictation in some areas. But the consistency provided by structured choices in ARCport Dx facilitates the goal of standardized reporting required by accreditation agencies such as ASE, ASNC and AVA. Even when voice recognition's accuracy finally reaches trustworthy levels, it will still have a hard time providing uniformity and consistency across many physicians interpreting all modalities. This is a set of common questions we encounter while demonstrating ARCport. Please contact us for answers to specific questions you might have pertaining to your existing software systems and workflow. Or email us directly for more information. Another way to see if ARCport is right for you is through an online demonstration at your convenience. Call us directly at (727) 645 - 4445. Enjoy the advantage of software designed for your specialty and avoid the hefty price tag of huge corporate overhead. Surpass the expectation of patient care with the speed of connected systems. In terms of investment for the application, it’s a diagnostic manager’s dream, because all of your reports are in one place. If you want to run any kind of reports, you can, and you don’t have to go looking for paper reports anymore. We were able to cut our transcription costs by a third, which paid for our investment in the application.